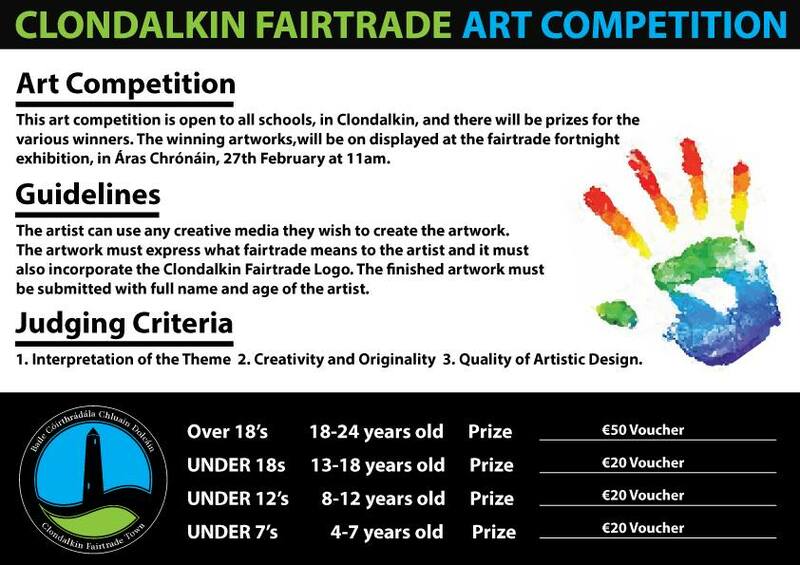 Delighted to have signed Clondalkin as the 51st Fairtrade town this morning in Clonburris school. congrats again to Paula Kenny and all involved. One cert will hang proudly in Clonburris school and one will hang in SDCCC. Francis Timmons independent is very proud to congratulate Paula Kenny and the students of Clonburris school that have successfully made Clondalkin a Fairtrade town. I am delighted to have worked with them to ensure success. What the Children have learned and achieved will stay with them through there life. Its great they have learned so much about social justice. The future is safe in there hands. 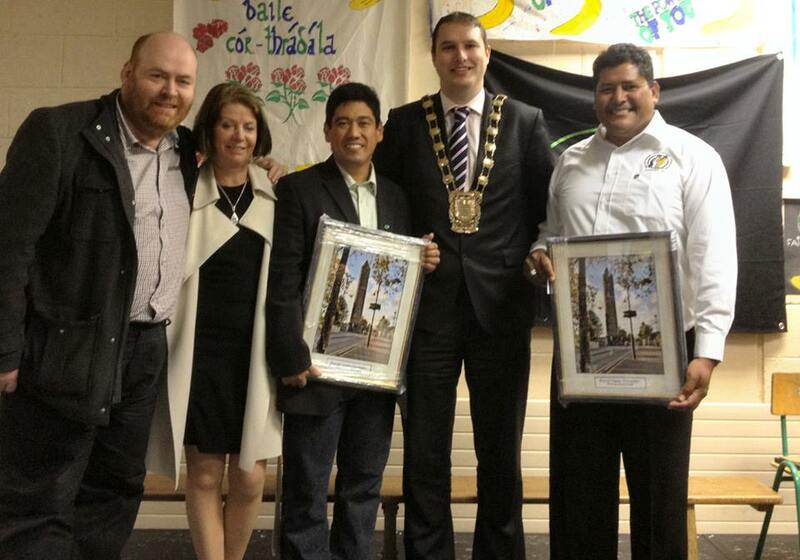 On 7/3/2014 Clondalkin became a Fairtrade town. 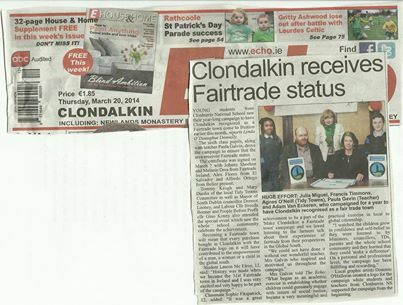 Make Clondalkin a Fairtrade town. 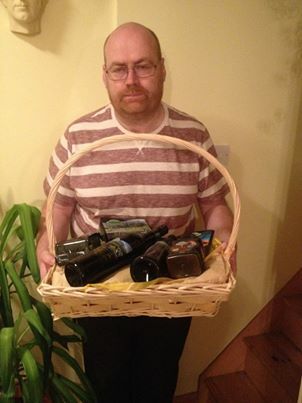 I have sponsored another hamper to try and progress the campaign to Make Clondalkin a Fairtrade town. 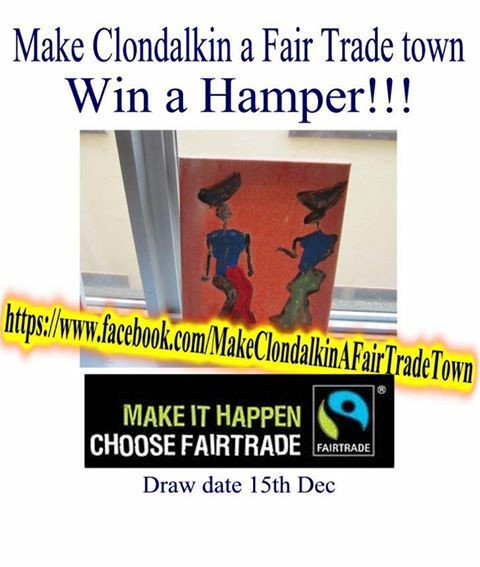 very happy to Sponsor a Hamper for Make Clondalkin a Fairtrade Town which I am on the steering Committee for. I am part of the steering committee of Make Clondalkin a Fair Trade town , We had our first meeting on 30/9/13 in Clonburris National School. I support the campaign to make Clondalkin a Fair Trade Town.